Healthier snacking products and cleaner ingredient labels are key areas of focus according to SN’s annual Whole Healthy Survey research. 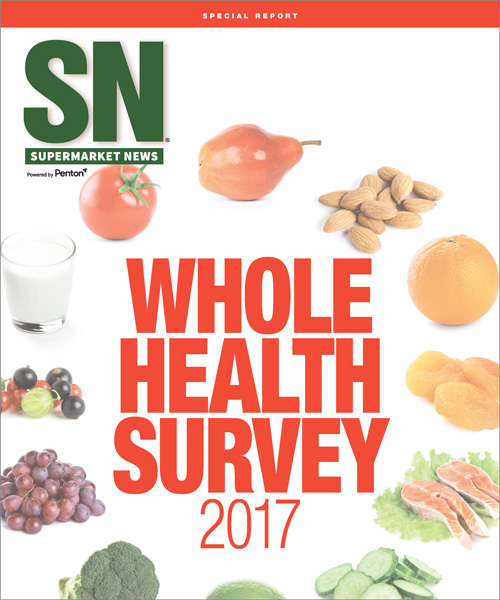 Supermarket News’ annual Whole Health Survey is unique in tapping into industry attitudes on the health and wellness trend. In addition to a comprehensive summary of results, this report includes the complete data set and remarks from nearly 240 SN subscribers, representing a cross-section of chain and independent food retailers, manufacturers, brokers, wholesalers and others with a stake in health and wellness in grocery. Their responses paint a nuanced picture of attitudes on the wellness trend by those experiencing it in their businesses everyday.